If you live in Rochester, NY, you might qualify for free nurse assistant training based on your economic and family circumstances. The Rochester Educational Opportunity Center provides training with no cost or obligation to everyone who qualifies. The center operates in collaboration with Brockport College. To qualify, you’ll need to contact the center and schedule an appointment with a counselor. While there, make arrangements to take the Test for Adult Basic Education (TABE) and physical exam. You must score a minimum 7.5 grade on the exam and receive a physician’s certificate of good health. Gather your high school diploma or GED equivalent, the health certificate, test score, two references, and proof of income and meet with a counselor to finalize your free CNA training. If you can afford it, consider the alternative low-cost training options listed below. All applicants for this program must take the TABE to determine reading/comprehension ability. Students receive 205 contact hours of training over a 2-month period. Through a series of classroom lectures and demonstrations, hands-on lab, and clinical practice, instructors impart the knowledge and skills students need to provide care to residents in a long-term healthcare facility. Graduates are eligible to sit the Prometric-issued state exam and become Certified Nurse Aides. Some graduates use the program as a stepping stone to enter a program for Registered Nurses. Tuition is free to everyone who qualifies. Contact the center to find out about the application process for free training. Every year, The Maplewood facilitates three to four CNA training classes to accommodate Rochester residents. The entire program falls under the purview of the Director of Staff Education, who is a Registered Nurse. The curriculum, created in collaboration with several educators and Registered Nurses, seeks to prepare students to pass the state exam, get certified and serve as employees at the facility. The program, referred to as the 100-hour program, runs for 21 days. Clinical training begins on the tenth day of the program. At the end of training, students must take the 200-question comprehensive test and receive a passing grade in order to graduate. Students are then eligible to take the state exam and obtain certification. Training and supplies are free as Maplewood incorporate graduates as members of the professional staff. The New York State Department of Education-approved nurse aide training course at OACES provides approximately 120+ hours of instruction and hands-on training to prepare students for New York State certification. Training includes over 30 hours of practical long-term care experience at an approved medical facility. Applicants must be 17.5 years and over and demonstrate a ninth-grade reading level according to the TABE assessment. Applicants must also possess a high school diploma or GED equivalent. Perfect attendance, three references, and ability to lift 40 pounds are just a few prerequisites for entry. Tuition costs $1,750 for both day and evening sessions. Students should budget for uniform, NYS exam, background test, textbook and other supplies are those costs are not included with the tuition. Hill Haven Living and Nursing Rehab Center facilitates a state-approved nursing assistant program to prepare adults to provide high quality patient care as a part of the healthcare team. Through a combination of classroom theory and clinical experiences, students will be prepared for success on the state certification exam and for entry-level positions in acute and long-term care facilities. The program is offered on a full-time schedule and runs for five weeks. Applicants must be compassionate, professional, dependable, patient focused, and be able to read, write, and speak English. Students will learn how to assist residents with the activities of daily living, perform evaluation and reporting, communication with patients, their families, and members of the healthcare team, and maintain a clean and safe environment for all patients. The training is offered as a part of the facility’s recruitment drive. Students who successfully complete the program may be eligible for employment with Hill Haven. Tuition and supplies are provided at no cost to the student. St. Ann’s Community offers free nursing assistant programs on an as needed basis. 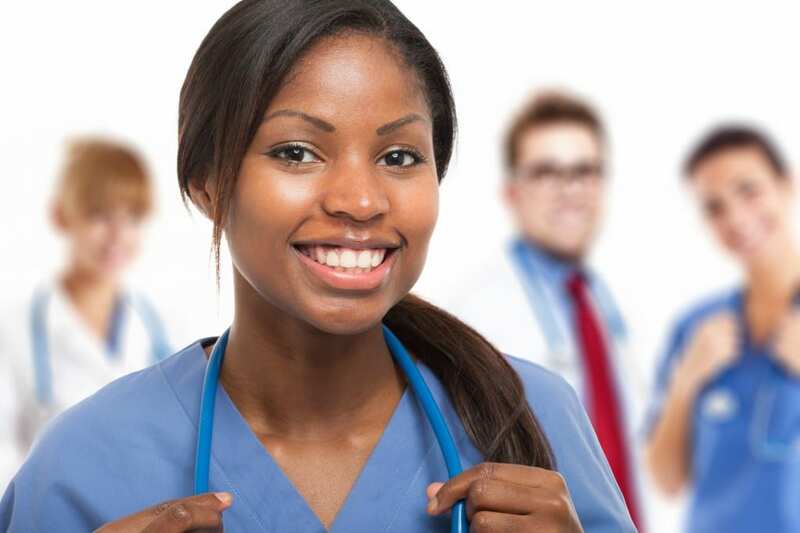 The program is approved by New York State so graduates are eligible to sit the state certification exam to be added to the Nurse Aide Registry. They may also be eligible for employment at St Ann’s Community. The curriculum covers 75 hours of instruction in the classroom and practical nursing experiences in a real-world clinical setting. At the conclusion of the program, students will complete a computer-based test and skills evaluation to receive official certification from the state. Throughout the program, instructors will emphasize the skills that will ensure students are competent in measuring and recording vital signs, transporting and positioning residents, serving meals, observing patients and reporting concerns, assisting with personal hygiene, and performing range of motion exercises. Applicants must have strong communication skills, a desire to learn, and compassion for those who are ill, disabled, or elderly. Use the contact information below to find out more about the program and upcoming schedules.